With family or with friends – the BAVARIA C50 is about the pleasure of sailing, but it’s about relaxation too. Together you can enjoy a fabulous time on water or on land, and with a lot of people. That’s because, as well as a three, four and five-cabin version there is even a six-cabin version available. As with the BAVARIA C45, the C50 comes in three different equipment levels: ‘Holiday’, ‘Style’ and ‘Ambition’. The Marten 49 is a state of the art racer/cruiser from the famous Reichel Pugh drawing board and incorporates the best in technology, luxury, comfort and speed. No expense was spared in the construction of this magnificent yacht. Launched in 2008, this Marten 49 with the hull, deck, mast, boom and bulkheads made from carbon fibre and foam sandwich construction for maximum strength yet minimum weight. A fast and comfortable family cruising yacht, very competitive at regattas, yet can be sailed by just two people. The hydraulic lifting keel on this Marten 49 provides maximum draught for optimised upwind performance and reduced draught for access into shallow waters, harbours and bays. Wherever possible, halyards and sheets are cleverly concealed underdeck. Weight saving custom carbon fibre mast and boom delivers superior strength and stiffness. The retractable centre-line carbon bow prod is for effortless flying of spinnakers yet virtually invisible when retracted. Flush carbon hatches are strong, light and durable. 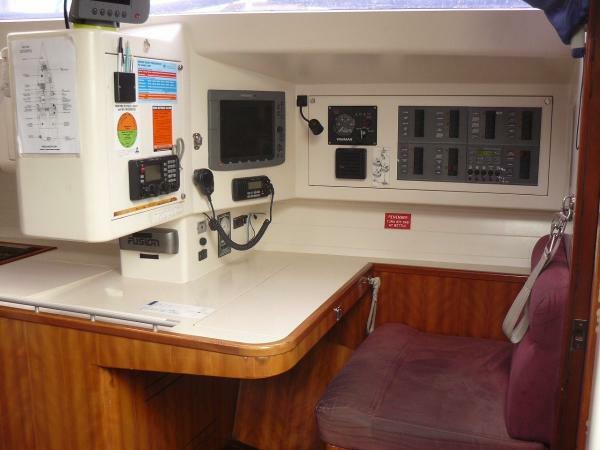 This Marten 49 benefits from an additional fuel tank, all up the boat can carry 250 litters of diesel. The standard Marten 49 is equipped with just one 175 litters fuel tank which limits the range a boat can sail without re-fuelling. The attention to detail on this yacht is excellent with customised fittings and truly innovative design features especially the fold away anchor/ bow roller and retractable prodder to name just a few. This Marten 49 is truly a Rolls Royce of yachts! Brokers comments The Marten 49 was designed for the owner who wishes to combine the sparkle and excitement of a performance racing yacht with the ability to make fast comfortable passages whilst short handed or whilst cruising. 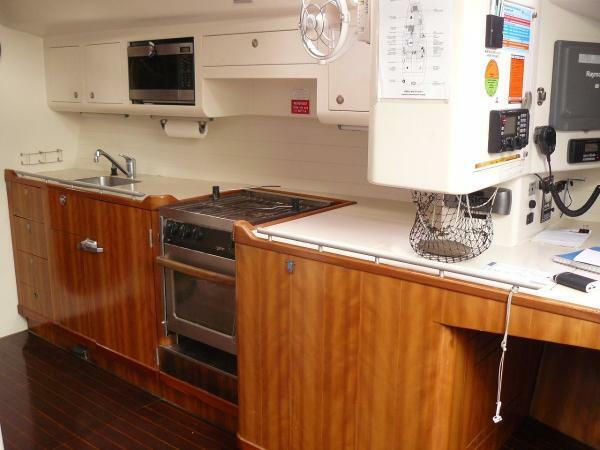 It is designed to be a superb family cruising yacht, a top performer at regattas and be a fast and comfortable passage maker for distance cruising. It is differentiated from other yachts in its class by its detailed design, construction methods, and materials that combine to provide superb performance and unrivalled functionality. The Marten 49 includes standard key features such as a lift keel for improved draught and performance when racing and reduced draught for accessibility to harbours and anchorages when cruising. By combining the talents of designers Reichel/Pugh, SP technologies design engineers and the experience of Marten Yachts, a yacht of outstanding pedigree has been created, possessing race-bred performance qualities with a spacious, functional layout. 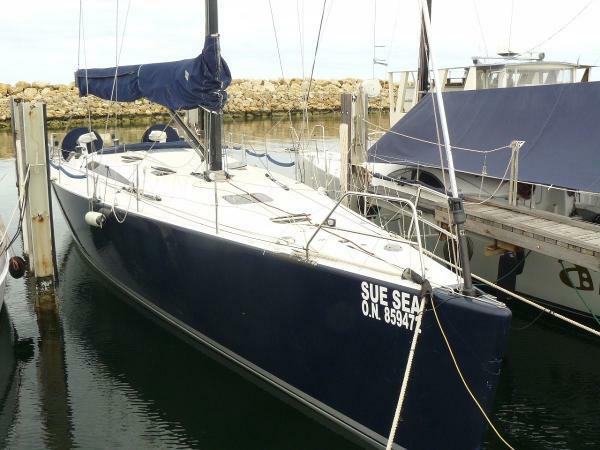 Owners comments"Sue Sea is a competitive performance boat with good comfort inside for lengthy trips. She can be managed at sea by two people, if necessary"